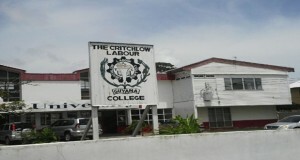 The Critchlow Labour College (CLC) has refused an estimated GYD$15 million subvention because it was less than half of what the previous government had provided to that institution. 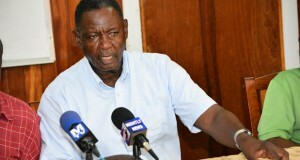 However, Finance Minister Winston Jordan said that is all government could afford and other trade unions’ education initiatives are also receiving grants that would amount to more than GYD$30 million. General Secretary of the Guyana Trades Unions Congress (GTUC), Lincoln Lewis announced on Sunday that the CLC was allocated a GYD$5 million subvention in 2015, but when the GYD$15 million was allocated in this year’s budget that labour and adult education institution refused to draw down the funds. “Don’t walk out here and tell people that Critchlow get back its subvention. They gave us five million last year and they gave we 15 million this year and we decided among ourselves let them keep their 15 million. This is the people’s money. If the PPP could have given 32 million in 2007 and this year you giving we 15 million and this is how this government stay and we have to talk about it ” he told a plenary session on “Socio-economic and Political Self-Realisation” at the Cuffy250 Fourth Annual State of the African Guyanese Forum held at the Critchlow Labour College, Woolford Avenue, Georgetown. Lewis said the money was used for administration and maintenance of the Critchlow Labour College that is slowly falling into disrepair. The Finance Minister told a news conference on Monday that he was surprised that the CLC was refusing free money and that government could not afford more. “We offer what we can afford. We offered 15 (million) but we brought in at the same time wager we are giving each union-the last government never had that- an annual subvention for their training programme, for their training programme,” he said. “If you are going to refuse a gift, there is nothing much the government can do about it,” he said, adding that CLC is not government-owned but contributed that institution because the educational programmes were beneficial to public servants and other employees. “We are not responsible for financing the activities of Critchlow Labour College. We make a contribution to those activities that they have,” he said. Jordan explained that several other trade unions have been allocated more than GYD$20 million in subvention each to support their worker educational programmes. “If you add this 15 million and 20-something million dollars we back to 30-something (million dollars). It is the labour movement that we are looking at, not necessarily Critchlow Labour College,” he said. He welcomed efforts by CLC to reduce its diversify its sources of funding by, for example, renting its facilities to the offshore medical school, Texila University ever since the last government stopped the subvention. “The labour movement if it wants to remain independent, it has to have independent sources of financing. Government is an interested stakeholder but I don’t think the labour movement want to see government financing them for obvious reasons,” he said. The Finance Minister reasoned that if $15 million would amount to 90 percent of a labour organisation’s budget instead of 15 percent , the labour movement must be concerned. The then People’s Progressive Party Civic (PPPC)-led government had stopped the grant to CLC, citing a lack of accountability but never restored it even after an audit had not found any major discrepancies.